In the growing worlds of cloud and managed services, the pattern of purchasing technology is changing—shifting risk from the customer to the tech company. How we build products, how we drive revenue, what services we offer, and what we must do to succeed are all on the table. 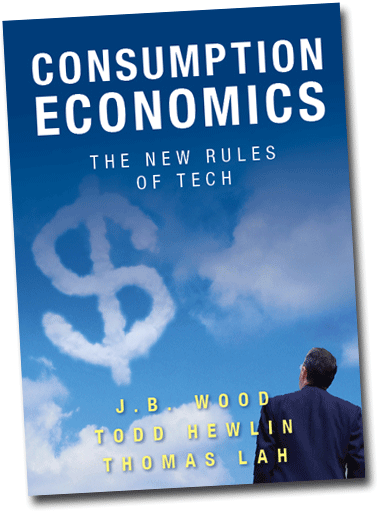 Consumption Economics, a ground-breaking new book by J.B. Wood, Todd Hewlin, and Thomas Lah, offers technology companies a road map for navigating the industry’s new landscape, as well as the tools necessary to thrive during this radical change.